At the age of 13 years, 4 months and 26 days, Magnus Carlsen became the youngest chess grandmaster in the world. The international press raved about the Norwegian prodigy. The Washington Post even called him ‘the Mozart of chess’. Ten years on Magnus Carlsen is the number one in the world rankings and a household name far beyond chess circles. Time Magazine listed him as one of the 100 most influential people in the world in 2013. How Magnus Carlsen Became the Youngest Chess Grandmaster in the World is the fairy-tale-like story of his rise. The story-teller could not have been better qualified. Simen Agdestein trained Magnus in the years leading up to his grandmaster title, repeatedly pinching himself in amazement at his pupil’s lightning progress. 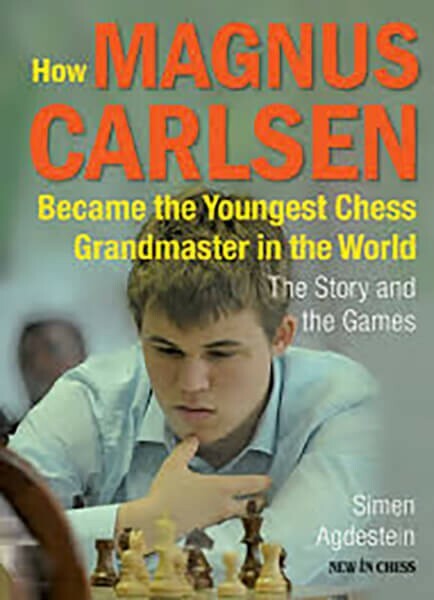 While you follow Magnus on his wonderful journey, Agdestein is your guide, providing insights into the Carlsen family life and explaining the secrets of Magnus’ play in clear and instructive comments. This is an inspiring book for any chess player. It will fascinate parents and help gifted children to realize their full potential.